Some people believe that children are children and so should be treated to only the pleasures of childhood – the playtime and snacks and naptimes – with no responsibilities or obligations at all. I do not believe that by doing everything for my children I will enable them to develop in the way they should. I do not believe that my sparing my children the ‘angst’ of doing jobs or chores, or by avoiding asking them to do things for themselves, that I am doing them (or anyone around them) any favours in the future. I do not believe that by having expectations of them and what they are capable of, that I am putting undue and unreasonable pressure on them. I think that once a child can understand, can do things and maybe even argue (although waiting for speech to develop isn’t necessary), but as long as the first two apply then they are ready to learn about how the big, wide world works… and that includes how work works too. I believe that a work ethic needs to be developed early on in life. If a child is raised having never done anything for themselves and having everything done for them, they will become an adult who will expect never to do anything for themselves, and to have everything done for them. 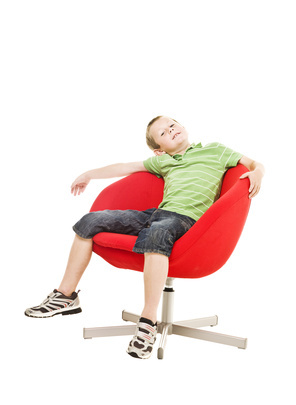 Lazy, expectant children will not magically transform into hardworking, diligent adults. A work ethic is not something which appears like facial hair and body parts during puberty, but something to be developed and encouraged far earlier during childhood. Their own appreciation of others changes when they are given the chance to understand exactly how much effort and time goes into doing even the simplest of things. It’s easy to take a made bed or swept floor for granted if someone else does it, but when it is their own time and effort that has been used to make or sweep it, you’ll find they are less inclined to spoil their efforts. They will also discourage others from doing so too, quickly pulling them up if a mess is made! With appreciation comes consideration. 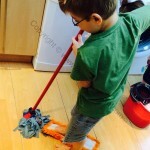 A child who has spent time washing a floor realises how upsetting it is when their hard work is undone by someone else thoughtlessly treading muddy footprints everywhere. They become more careful not to undo someone else’s work when it’s their turn to wash the floor. By doing a job themselves, their consideration towards the efforts of others is increased. None of us ever realises what we are capable of until we are put in a situation to learn new things and try to deal with things we may have thought impossible. We all come to a point where we think ‘I can’t do that!’ about something – like me doing 5k on the cross trainer for example. Once we realise we can do the seemingly impossible there is no going back. We’ve exceeded our own expectations of ourselves! Kids are no different. A five-year-old might not be able to sweep the floor very well at first, but they can try. Give it a while, some practice, encouragement and determination and they’ll soon be doing it pretty well, and that’s nothing to be sniffed at. Children like to show off their achievements and are proud to demonstrate what they are capable of doing. Give them a chance to show you just what they can do. Following on from the point of expectations, comes belief. Once we’ve broken through the barrier of ‘I can’t…’ we move onto the next part of believing we can. Again, kids are no different. By increasing their expectations of themselves, by encouraging them to believe they can do and achieve what they might have once thought otherwise, their confidence rockets. What’s not to like about that? We all learn new things from the beginning. 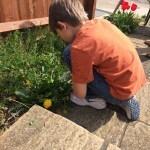 A child who has learnt how to do a job and now does it relatively well, better understands how it feels when someone else is learning to do the job. They can explain and mentor others in how to do things, encouraging them to develop good leadership skills for the future. If a trip to the park is on offer but the caveat is that the toys and games must be tidied first, they soon realise that many hands make light work. If they all club together to tidy up we can get out of the door sooner. And finally, further to co-operation and helping each other comes the duty of responsibility – ours and theirs. As parents we hold overall responsibility for our children and our home, and we take on the lion’s share of the care and running of them. 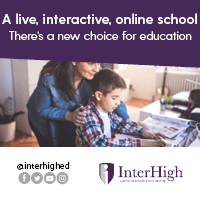 Having said that, a main part of our responsibility as parents is ensuring our children develop the skills and morals they need for a life as independent adults. We don’t expect them to do everything around the house, and we don’t expect them to do the jobs we give them perfectly, but we do expect them to try. We don’t want them to think that work is a dirty word or something only done by others. We also want them to realise that part of being a family is about pulling together, and that includes the mundane, everyday tasks as well as the fun times. And we’ve seen that giving children their own responsibilities works positively in how they view themselves, how they relate to others and their positive contribution to the family. The responsibility of a job of their own demonstrates how important they are and how vital the job they do is. 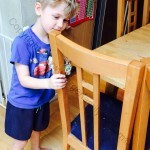 The dining chairs would soon be sticky without the younger ones wiping them down. The glass doors would soon be smudged without someone giving them a spray and a wipe. Everyone’s efforts can be seen and appreciated by all, and everyone in the family has something that they can contribute to the running of the home. What is your opinion? Do you do believe that childhood is only for the fun things, or should kids be taught about work and responsibility early on? Leave your comments below! Large Family of the Week – The Sheers Family! I think we do need to take time to teach them how to do tasks properly. We know they won’t do it perfectly but it’s like anything else – it’ll improve over time. Having said that, I know what a pain it is when you have conflicting feelings; on the one hand you know you need to invest time in them, but on the other, some days, it’s just quicker to do it yourself! as it ever was. It has a magic floor – as soon as something lands on it, it becomes invisible. What a lovely image of you and your daughter together. Glad it brought back good memories.